12 days of guys...for geek girls like me! Well, this one shouldn't come as a huge shock. I love American Idol (bring on the boos naysayers) but this season was more of a slow burner. 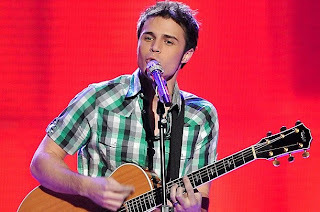 There were some great performances, and great performers (yeah I'll give it up to Adam Lambert), but when push came to shove it was the down-home acoustic boy Kris Allen that took the crown. It didn't hurt that he was so friggin' easy on the eyes too! Agreed but you know my newest and most confusing crush/guilty pleasure is the Glambert.